Losing weight is often a hard task. You always have to eat something that keeps your body healthy and lively. Even if you do some sport, it is not a guaranteed weight loss. 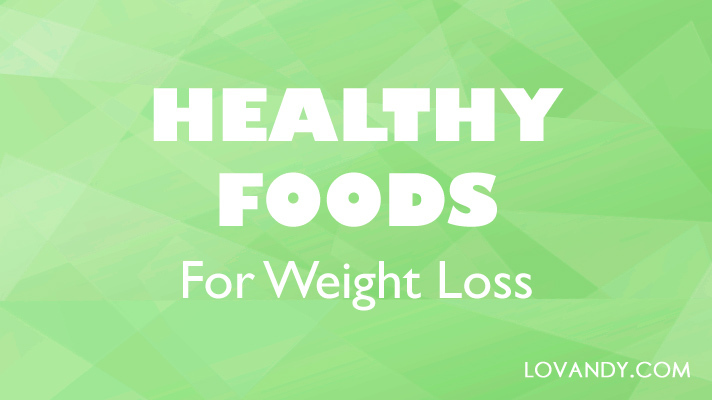 So, what food can help you lose some pounds, while still being healthy? Let us name the best products that help lose weight. Notice that none of them is more effective than the other. If you want to work some excess weight off, you should combine everything mentioned. That is why we state products of different categories. This way you can build your own diet, which will be versatile and healthy enough. Perhaps, it is not actually a food, but the lower your water consumption is, the harder it is for your body to burn fat. Many chemical reactions require a presence of water, which acts as a catalyst. When you are on a diet, calories are mostly taken from fat. If you drink less than 2 liters of water per day, your body cannot do that. As a result, you feel hungry, but no weight is being lost. Therefore, drinking enough water (3 liters per day) is important for any diet. This fruit is known to be a number one product for diabetics. Due to its ability to lower insulin level in blood, grapefruit helps you not feel hunger for longer. That is why it is a nice product for weight loss too. There are many vitamins and useful elements in grapefruits; so, eating one for breakfast is a good idea for everyone, especially if you are on a diet. There are many different recipes of soups. Some of them contain only vegetables, and the others are cooked with meat or mushrooms. However, it does not actually matter what ingredients are used. Of course, the less calories, the better; but soup is good for weight loss because of its ability to normalize the work of stomach and intestines. It accelerates the digestion of food, preventing it from being stored as fat. As any other vegetable does, celery contains many unique vitamins and is recommended to be included in any diet. When talking about weight loss, you should eat celery because of its ability to accelerate the secretion of gastric juice, therefore actively participating in the digestive process. Moreover, this vegetable contains a small amount of calories as well. It is a good idea to drink celery smoothie. This bittersweet spice is really beneficial for health. It has many useful properties that help your immune system work properly. Ginger stimulates thermogenesis (heat release). This process requires many calories to be burnt. It helps in digestion, normalizing the work of stomach and intestines. As grapefruit does, ginger regulates the level of insulin in blood. Ginger is as energizing as coffee. It stimulates your brain, so you will feel lively and will not need any excess calories after eating some. Broccoli is full of vitamins and low in calories, as any vegetable. However, it contains an outstandingly high amount of chromium, which makes broccoli even more effective for weight loss. The thing is chromium reduces craving for sweets. So, if you like cakes or waffles, eat broccoli to help yourself overcome a desire to eat some. This fruit contains a lot of vitamins, such as E, C and K, as well as many microelements. In addition, there are some unique enzymes and fruit acids in kiwi. Therefore, it accelerates the metabolism and helps you burn fat faster. It is a good idea to eat a kiwi after any meal. Cinnamon helps your body metabolize sugar faster, decreasing its level in blood. Therefore, it guarantees that all the carbohydrates turn into energy as soon as possible, and none of them are stored as fat. If you like to drink your coffee with sugar, add a pinch of cinnamon to it. This spice is not only a good seasoning for almost any meal. Black pepper is one of the most effective substances that trigger lipolysis, a process of fat burning. When pepper is added to food, fats start melting as soon as they get to your stomach. Therefore, your body just needs to absorb the products of this reaction, which means there is no fat to store. Recent researches have shown that people with excessive weight, who were eating two eggs for breakfast for the year, lost 65% more weight than those who replaced eggs with a sandwich. Eggs help your body normalize sugar level in blood and provide it with a huge amount of protein. This product will help you lose weight even better, if you do some exercises daily. This vegetable is known to be one of the best sources of iodine. This element is needed for your thyroid gland to work properly. As this gland controls many processes in the body by synthesis of hormones, it affects weight loss too. Moreover, sea kale contains Arthrospira – bacteria that contributes to weight loss (it is a part of many biologically active additives). You should consume enough dairy products daily in order to help your intestines work properly. If your digestive system works well, than you will lose weight faster and easier. Notice that it is not recommended eating or drinking fat-free products, as they contain some harmful ingredients that may even make you gain weight. Low-fat milk or kefir are best. Any cereals contain a lot of dietary fiber. This substance is needed for a digestive system. Fiber absorbs all the toxins and undigested food with water, cleansing your gastrointestinal tract. As a result, your body is ready to absorb all the new food that comes during a day quickly. Therefore, a cereal breakfast is always a good idea for everyone. These berries have been cultivated in the US for more than five years now because of their unique properties. Goji berries promote the production of natural growth hormone, which is used by the body to burn fat. Moreover, they are full of unsaturated fatty acids that contribute to the acceleration and normalization of metabolism, which is important for people who gain weight quickly. Therefore, it is a good idea to drink a Goji berry tea or eat them boiled. These vegetables are full of vitamins, but most importantly, they are 97% water. We have stated in the first paragraph that water is extremely important for losing weight, so, cucumbers are also good. The water in vegetables is always actually pure and beneficial. We have named the most useful products for weight loss. Eating any of these will help you get rid of excess pounds. However, you should stick to a proper diet, so that your body gets all the vitamins and minerals it needs. Make it versatile and do not stop eating at all. If possible, do some sport every day.